This comprehensive, integrated teaching resource provides students with the tools and methodologies they need to effectively negotiate the multiple dynamics that emerge from difference, and to appropriately respond to issues of marginalization and social injustice. Written from an American perspective, the book not only covers the traditional topics of race, gender, ethnicity, and social class, but explores emerging trends around “isms” (racism, sexism). 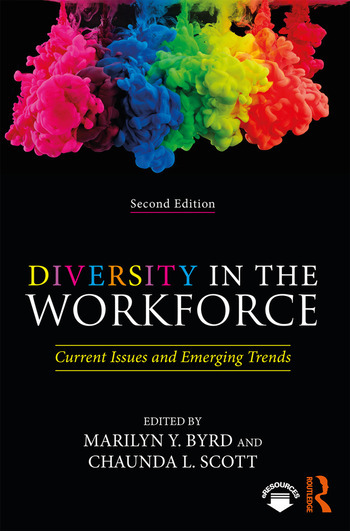 This second edition includes two new chapters: one addressing social identity diversity and leadership in the workforce, and the other examining under-representation of diversity in the scientific, technical, and film workforce. This edition also features an updated chapter on social justice as an emerging diversity paradigm; this includes a conceptual framework to advance the ideology of organizational social justice. End-of-chapter questions encourage students to engage in difficult conversations, and case studies stimulate students’ awareness of real-world issues that emerge from diversity, helping students to develop the broad range of skills they need to mediate or resolve diversity issues as future professionals. Additional links, slides, multiple choice quizzes, and essay questions can be found online as a part of this book’s Instructor Resources. Foreword - George Henderson, Ph.D.
Marilyn Y. Byrd is an associate professor of human relations at the University of Oklahoma, Norman, USA, where she teaches diversity and social justice in organizations, organizational behavior, and human resources management. She is a faculty sponsor for the Student Society of Human Relations, a departmental student organization that advocates for social justice. Chaunda L. Scott is a tenured associate professor and coordinator for the interdisciplinary Graduate Certificate in Human Diversity Inclusion and Social Justice Program at Oakland University, Rochester, Michigan, USA. She teaches workforce diversity and human resource development courses and advises on diversity-focused dissertations. In 2015, she received a prestigious Fulbright Specialist Award, where she engaged in diversity education work in Cape Town, South Africa.